Should Our Country Be Placed No Longer Under God, But Only Under Judges and Lawyers? That God or religion should be confined to private life cannot, however, be accepted in the life of anyone who professes himself to be Christian. For one thing, the idea that God should be kept out of the state contradicts what the Sacred Scripture itself teaches in the Gospel today: “Give to Caesar what is Caesar’s, give God what is God’s (Matt 22:21). To understand this saying, it may be helpful to recall that at the time of Jesus, Israel was under Roman rule. And just as the Filipinos never relished being under the Japanese during the Second World War, the Jews hated the Romans. Of course, the Pharisees accepted the Roman occupation, and true to their ideology, counseled submission to it. The Herodians were obviously supporters of Herod who governed Palestine under the auspices of the Roman Emperor. 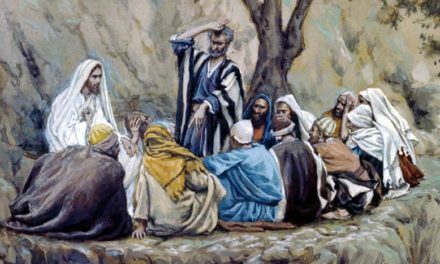 In today’s pericope, we are told that these two groups wanted to put Jesus in a dilemma by asking him: “Is it lawful to pay tax to the Emperor or not?” (Matt 21:17). The dilemma was this: should he tell them it was all right to pay tax to the Emperor, Jesus would certainly be ostracized by the common people to hated the Roman tribute as a symbol of political and economic subjugation. But should he answer that it was not right to do so, the Pharisees and the Herodians would certainly brand him an anti-Roman, if not a revolutionary. Jesus’ answer to the trap, as already noted, was to give Ceasar what was his, and to give God what belongs to him. And it being a trap, the course to take is to escape it, and that is what Jesus, wise as he was, exactly did. He got away from their trap by putting the burden of the question on the Herodians and the Pharisees themselves! Knowing that the tax was paid in Roman currency, he asked for a Roman coin, and raised the question: “Whose head is this, whose inscription?” (Matt 22:20). Scholars surmise that the coin probably showed the head of the Emperor with the inscription “Tiberius Caesar, Son of the Divine Augustus, High Priest.” What was Jesus’ purpose in asking for a coin? It must be stressed that then Ten Commandments explicitly prohibit graven images, like the image of the emperor on the coin (Exod 20:4). Consequently, by demanding that he be shown a coin, he was subtly accusing the emissaries of the Pharisees and the Herodians that they were violating the commandment of God, because they brought with them a graven image, the image of a pagan high priest, to the holy land. Yet, never did the Pharisees or the Herodians protest against it. But if they never gave a hoot about that flagrant transgression, why would it bother them to pay tax to Caesar? 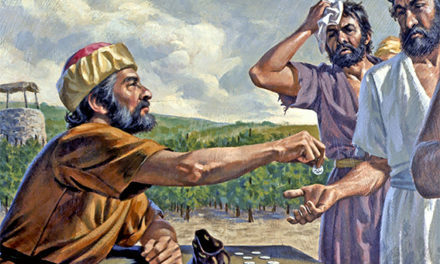 In other words, by answering that they give to Caesar what is his (Matt 22:21b), Jesus was cleverly saying that since you have already violated God’s commandment, why worry about whether paying taxes is against God’s will or not? In truth, though, Jesus must have, in the context of his theology of the kingdom of God, thought that paying tribute to Caesar was against God’s will. It must be noted that one of the revered beliefs in Judaism is God’s ownership of the land of Israel: “The land shall not be sold in perpetuity, for the land is mine, and you are but aliens who have become my tenants” (Lev 25:23). That the Roman Emperor occupied Israel, the Jews understandably regarded it as usurpation, and since there seems to be no evidence that Jesus rejected that belief, it is most likely that he thought of it like an ordinary Jew did—it was not according to God’s will to recognize the authority of the Emperor. 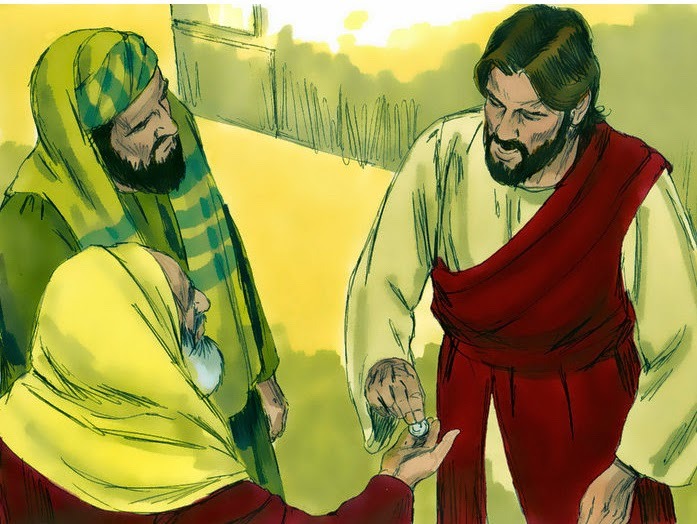 Of course, Jesus did not say it; or he would have fallen into the trap, but that is exactly the meaning of the punch line of the second segment of the saying: “Give to God what is God’s” (Matt 22:21). 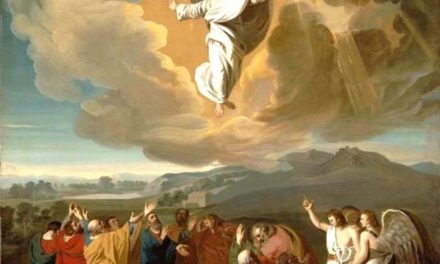 In Jewish thought—and there seems to be no evidence that Jesus departed from it—there is really nothing that belongs to Caesar that does not belong to God, including political power. For a Jew, all power comes from God, and if anyone, like the Emperor, exercises it, it is because God permits it (Rom 13:1b). But it was clear to the Jews that it was not his will that the Emperor should put Israel under his rule, because God called Israel to freedom. Therefore, that the Roman should oppress, disenfranchise, alienate and discriminate them, and violate their rights—that could not have been legitimized, for they opposed God’s call to liberty and freedom. What, then, is due to God? Everything. There is no sphere of life that can be claimed as an exclusive domain of the state. The state, any state, belongs to God, and state power can be said to be legitimate only if it does not oppose God’s call to liberty and freedom. The idea, in other words, that the realm of God should be confined merely to private life or to the sacristy and the rectory can be grounded only on a misunderstanding of what it means to believe in a God who cares for the salvation of the world. Which is why, one can understand the reaction of US leaders to the decision of the federal court regarding the Pledge of Allegiance to the flag. For the decision does not simply touch on the freedom of expression, pace the claim of Daan Schoemaker of Amsterdam in his letter to the editor (Newsweek, 9/16-23/03). It has to do with one’s and the nation’s world view. In fact, by confining God only to private life, the decision of the federal court virtually placed the nation not under God but under the lawyers and judges—which is what the title of a lead article in Newsweek is all about: “One Nation Under Judges”. In effect, law and lawyers have substituted God!